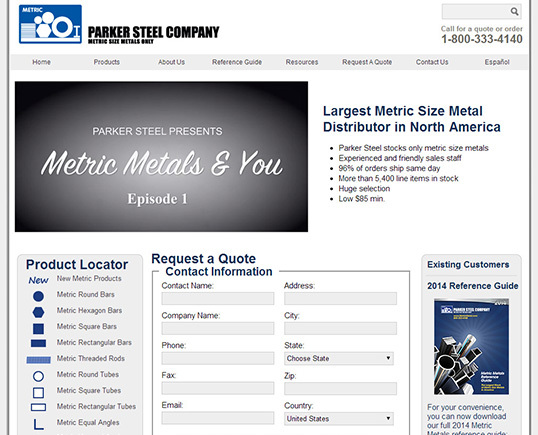 Parker Steel’s website had a dated design and a structure that made minor changes incredibly time-consuming. We redesigned and restructured the site to make it more flexible and scale more easily. 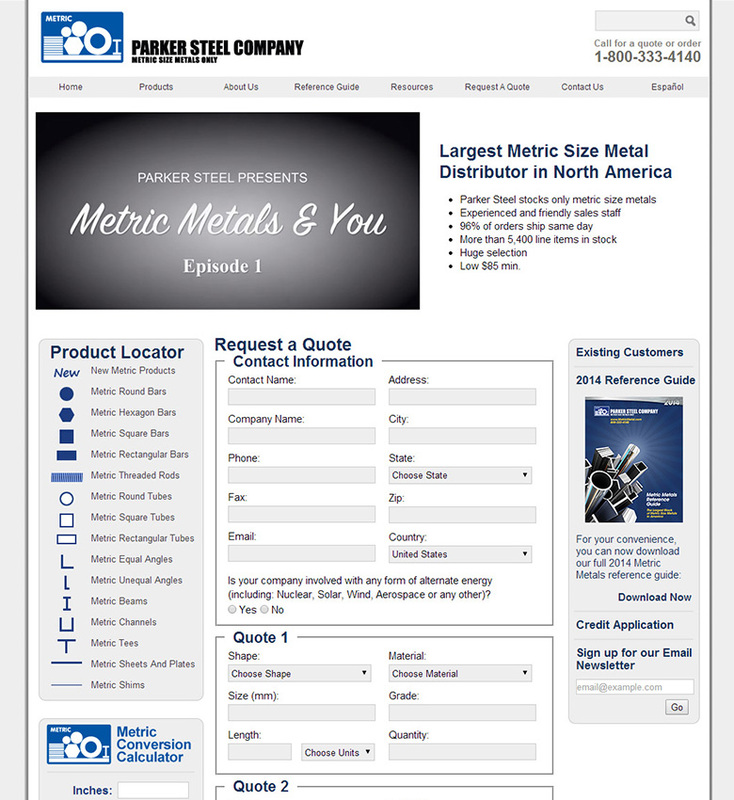 Users can submit quote requests and search/browse a large amount of product data. A custom metric conversion calculator is embedded in the site and also offered as a downloadable executable. The site also features a mobile version of their quote form and contact page for smartphone and tablet users.